Last fall, the provisions governing Business Associate Agreements under the HITECH law went into effect. Many covered entities used templates and models offered by professional societies and the Department of Health and Human Services, but it’s becoming increasingly clear that the “model” agreements were simply a stopgap measure, and that organizations that use BAAs need to conduct ongoing reviews of the documents and customize the language to meet the individual needs of their company. The need for ongoing reviews to business associate agreements stems from an increased focus on compliance, and audits from the Office of Civil Rights (OCR) in DHHS. 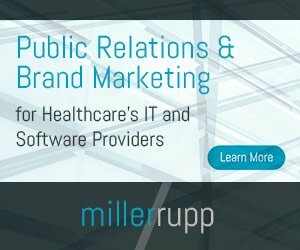 In the past, HIPAA compliance audits were limited to specifically covered entities, such as doctors’ offices and hospitals. Using HIPPA-compliant providers like healthcare fax companies to transmit protected data on their encrypted servers has been the best way for health care professionals to avoid audit issues. However, the provisions of HITECH allow for audits of subcontractors as well, ensuring that they too are complying with the privacy and security policies of the act. Essentially, then, a business associate agreement serves as an agreement by the subcontractor that it will adhere to the rules and standards of HIPAA — and they understand the consequences of noncompliance. Some argue that the notion of business associate agreements is outdated, given that HITECH holds all subcontractors who have access to HIPAA-protected data to the same privacy and security standards as the covered entity itself, even without the written agreement. The law still states, though, that covered entities must negotiate and maintain compliant BAAs with the companies that have access to their data — even those that may not directly have access to the data. 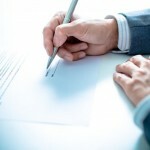 The simple fact that the OCR is conducting audits of business associate agreements and the companies covered by the agreements, highlights the importance of maintaining up-to-date and comprehensive agreements — meaning that the “boilerplate” agreement that you signed to meet the basic compliance standards may not be enough at this point. Since it’s been a year since the new provisions went into effect, it’s very likely that your BAAs are reasonably up-to-date, and in compliance with the laws. That being said, if you used a template, or you only made minor changes to existing agreements, it’s best to review the agreements you have on file to ensure they comply with current law. Many experts agree that BAAs should be reviewed at least once a year or more often if they expire, or if there are significant changes to the business relationship.